The Heartlands Conservancy made a brief presentation about the Mounds Initiative on Wednesday night, January 28, 2015 at the SCHS quarterly general meeting. The two Heartlands Conservancy representatives were Galen Gritts of the the conservancy’s Strategic Advisory Committee and Suzanne Kutterer-Sieburt, Independent Consultant Mounds Initiative and archaeologist. Galen Gritts gave a brief introduction to the Mounds initiative, and then the two representatives manned an information booth to display materials, answer questions and to ask SCHS members for support for the initiative in the form of a letter for the HeartLands Conservancy’s The Mounds – America’s First Cities: A Feasibility Study. View the letter of support at bottom of this page. Download the letter to your computer with a save command. 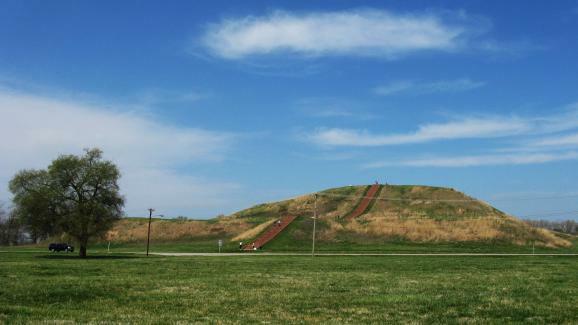 The initiative seeks to raise the visibility of Cahokia Mounds by gaining some sort of status within the National Park Service. The resulting higher status would bring additional visitors and funding to the Mounds. 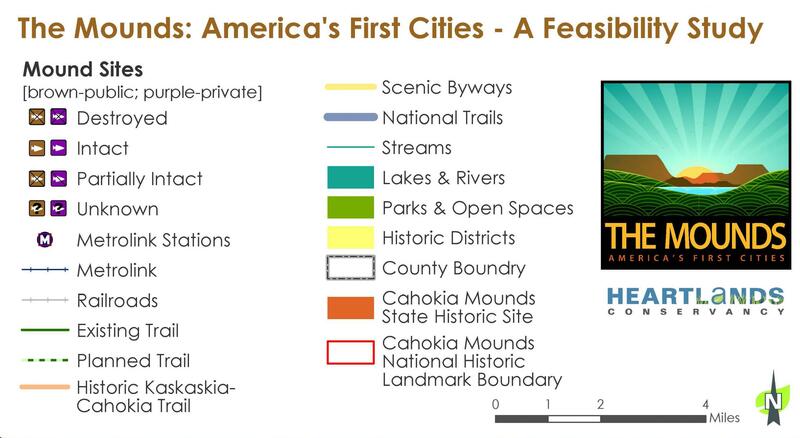 The initiative also seeks to bring in the satellite sites in the region that were part of the Mississippian culture that created Cahokia Mounds. 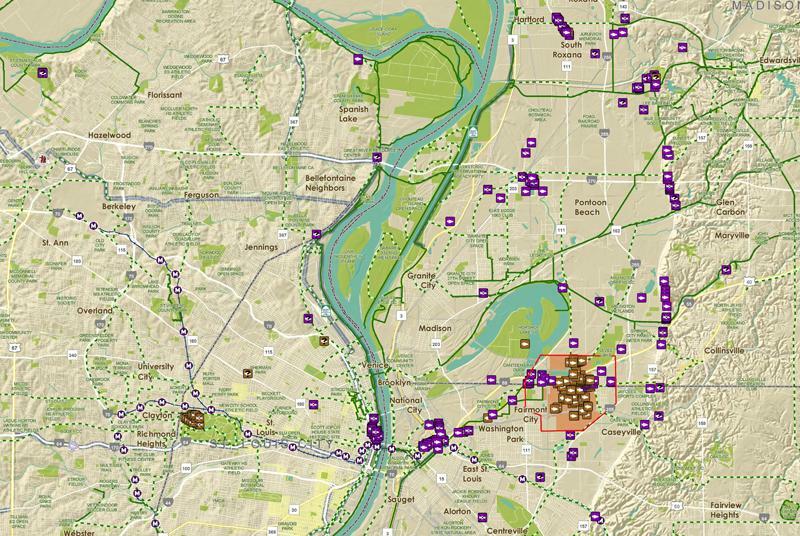 The other sites may in the future be connected to Cahokia Mounds by trails. The following links provide additional information about the efforts of the Heartlands Conservancy. The Heartlands Conservancy web site. Rising 100 feet above the ground, Monks Mound is the tallest of the 80 or so mounds remaining at the Cahokia Mounds State Historic Site in Illinois. Around 900 years ago, it was a carefully maintained earthen pyramid, supporting a large wooden temple. A closer look at a section of a map of current and destroyed Mississippian mounds in the St. Louis region. 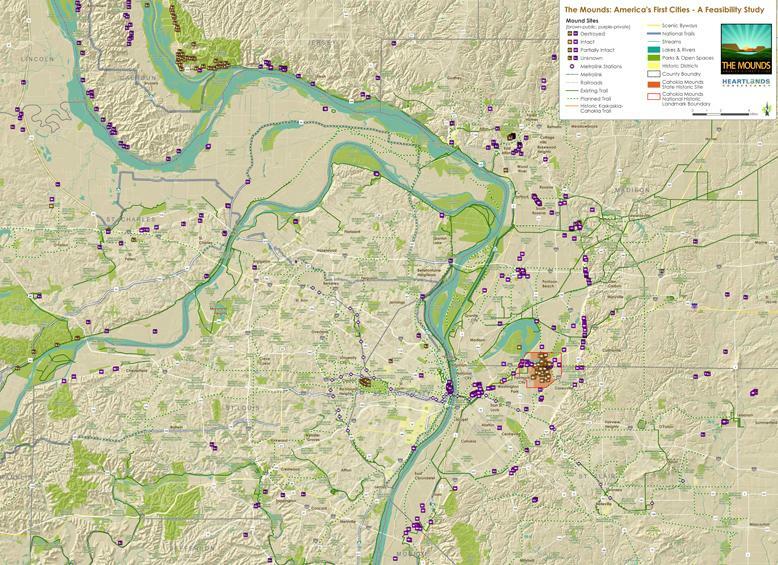 Map of current and destroyed Mississippian mounds in the St. Louis region. Key to map of current and destroyed Mississippian mounds in the St. Louis region. January 29, 2015 in Issues of Concern, Local News.